Captain Rick: The option to hail a ride in a self-driving car, which was science fiction just a few years ago, will soon be available to Uber users in Pittsburgh, the first time the technology has been offered to the general public. Within weeks customers will be able to opt into a test program and summon an autonomous Ford Fusion. But since the technology has not been perfected, the cars will come with human backup drivers to handle any unexpected situations. Eventually there will come a day when driverless cars become common place and will be much safer than the large percentage of todays cars with idiots behind the wheel, texting and doing everything but paying attention to driving, including those driving under the influence. I would feel much safer having cars around me that pack a million dollars worth of technology watching the road and controlling the vehicle, than ones driven by idiots not watching the road at all. 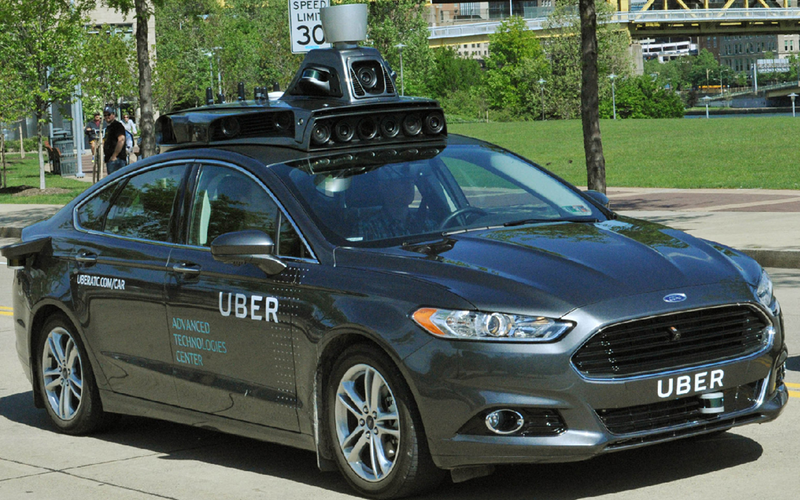 Uber has a self-driving research lab in Pittsburgh. Uber-branded test cars have been on Pittsburgh roads for several months. Other companies including Google are testing self-driving cars on public roads, but none offers rides to regular people. As an enticement, the autonomous rides will be free. If I lived in Pittsburgh, I would be one of its first riders. It will be a few years before autonomous cars will acquire a license to drive on their own. This is a way to get autonomous cars out there and become accepted on the roadways. New technology begins somewhere. Pittsburgh is one of those places and Uber is an innovative, driving force. The real breakthrough for autonomous cars will happen when a company puts one on public roads without a backup human. For now, like a motorcycle canyon jumper with a safety net, Uber isn’t ready to take the big leap … but perhaps one day soon it will be. Captain Rick : By now your MasterCard, Visa and other credit cards have the new EMV microchip. All U.S. merchants need to have the new chip readers installed and operational by October 1, 2015 or they face increased responsibility to cover losses if someone goes shopping with a stolen credit card. How it works: The credit card is inserted into the bottom of the card reader and remains there until the transaction is finalized (instead of being swiped down its side). The chip on the card generates a unique code that is validated by the issuing bank. This makes the cards harder to copy than the magnetic strip. The merchant hardware (up to $600 per terminal) and software ($Thousands) required is expensive. Walmart and Target are among the few companies already using the new technology. 27% of U.S. merchants will be ready by the deadline. The old card swipe readers will continue to work for consumers while the balance of merchants switch to using the new technology. I experienced my first credit card chip transaction about a month ago at Walmart. I swiped my card as usual. The cashier said “you have to insert your card in the chip slot”. I asked “were is that?” The cashier replied “at the bottom”. I inserted my credit card in the slot at the bottom. It did not work because I inserted the wrong end of the card. Once I inserted the end with the chip face up, it worked, but I made the mistake of pulling it back out. The card needs to stay inserted during the entire transaction. Those standing in line, the cashier and I all had a good laugh. It was a learning experience for me. Another transaction a few days later was executed perfectly on the first try. I am a pro now. When it is time to pay, I ask “is your chip reader is working.” Most say “no not yet. It should be working by October 1.” In any case, I can conclude that this “old dog is not too old to learn a new trick”. Captain Rick: Bridgestone Corporation broke ground on a biorubber process research center in Mesa, Arizona. It will investigate innovative ways to better produce large quantities of natural rubber from a native southwestern shrub … the guayule. Latex from the guayule is hypoallergenic. The site, which covers 10 acres, will include an 8,400-square-foot office and lab building, a four-platform, 3,500-square-foot shrub prep building and a 3,100-square-foot mechanical and electrical building. At completion, the center will have a staff of 40 researchers and technicians. The first rubber samples should be ready by mid-2015. Bridgestone has also begun construction on an agricultural facility in Eloy, Ariz., to grow the guayule for the Mesa research center. Guayule (pronounced: gua-you-lay in Spanish), is a flowering shrub in the aster family, that is native to the southwestern United States and northern Mexico. (Photo above left). Its bark and roots can be used as an alternate source of latex to make natural rubber. Latex is used to make rubber. Where does it come from? Where is it used? Latex is the milky fluid inside 10% of all flowering plants. (Photo above right). Most of the 20,000 species of plants that produce latex are not suitable for commercial use. The most common source of latex used for commercial rubber production is from the hevea (rubber tree). Other sources are from the poppy, mulberry, fig and asteraceae plant families. The latter shows the most promise for an alternative supply for commercial scale production. 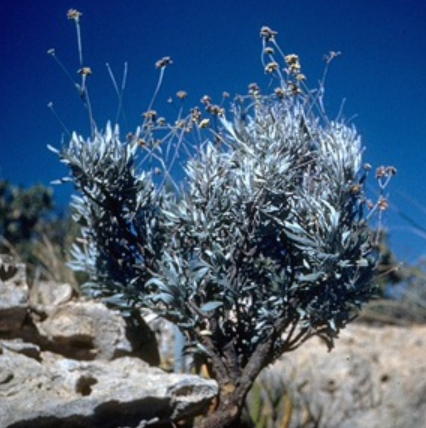 Guayule is in the asteraceae family. Latex can also be made synthetically from petroleum products, though products do not stretch as well as natural latex from plants. 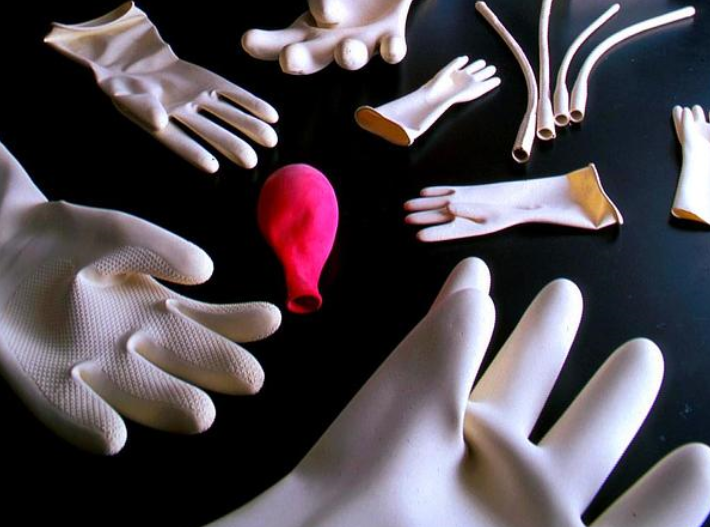 Latex is used to make mattresses, gloves, swim caps, condoms, catheters and balloons. Why use Guayule to make rubber? One huge reason…its hypoallergenic! While Hevea-derived rubber contains proteins that can cause severe allergic reactions in a few people, guayule does not. With the AIDS crisis of the 1980s, the surge in rubber glove usage revealed how many people were allergic to latex (about 10% of health care workers, according to OSHA), and thereby created a niche market for guayule. 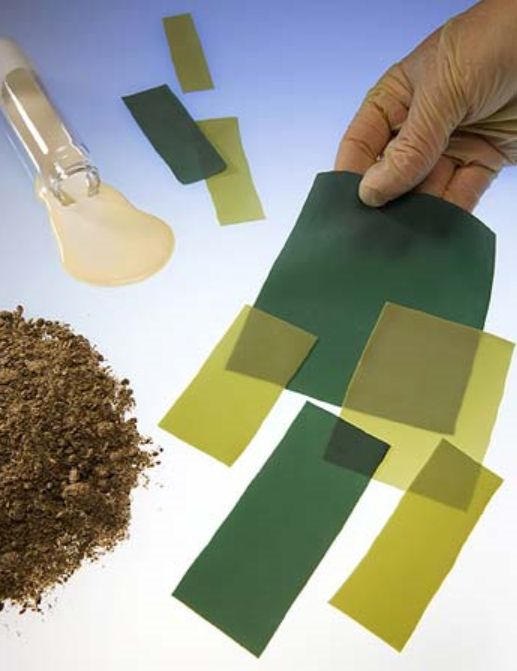 There are synthetic alternatives for medical device products, but they are not as stretchable as natural rubber. 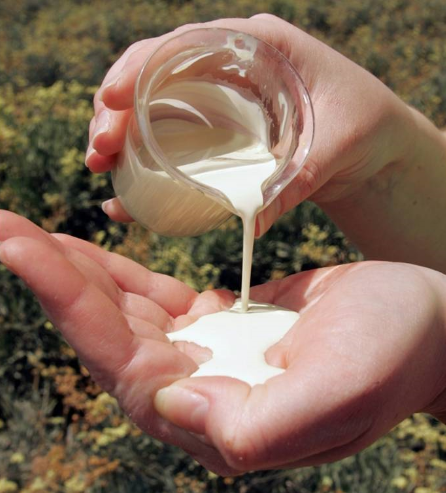 Guayule performs like Hevea but contains none of the proteins that cause latex allergies. produced 1400 tons of rubber after leaf blight decimated the Brazilian rubber industry. Guayule again become a replacement for Hevea tree-produced latex during World War II when Japan cut off America’s Malaysian latex resources. The war ended before large-scale farming of the guayule plant began, and the project was scrapped, as it was cheaper to import tree-derived latex than to crush the shrubs for a smaller amount of latex. That scrapped vision from decades ago is coming to life today in Arizona. Captain Rick: Dell Inc. announced that it agreed to be acquired for $24.4 billion by a purchasing group that includes company founder and CEO Michael Dell, a private equity firm Silver Lake Partners and a $2 billion loan from Microsoft. If completed, Dell would become the largest leveraged buyout since the financial crisis, and one of the ten largest LBOs of all time. 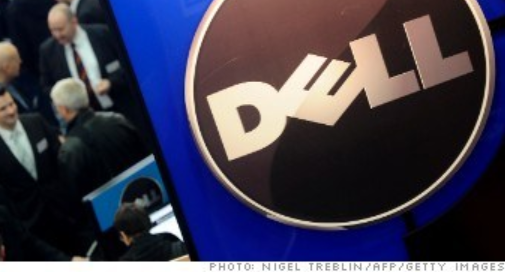 This deal has massive financing backing, which was largely enabled by Dell’s massive cash stockpile that could be used as collateral incase the stock price offer of $13.65 per share (about 25% above current price) becomes an issue due to future market changes before the deal is finalized. It also helped ‘seal the deal’ with the giant tech incumbent with loads of cash … Microsoft … with its $2 billion loan. A broader debt financing package, believed to be worth around $15 billion, was committed by BofA, Merrill Lynch, Barclays, Credit Suisse and RBC Capital Markets. It also is worth noting that this isn’t the first time Microsoft has worked with Silver Lake Partners, the private equity firm leading Dell’s acquisition. In 2011, Silver Lake sold Skype to Microsoft for $8.5 billion. Why is Microsoft providing a $2 billion loan, instead of seeking equity? In a statement, the software giant said: "Microsoft has provided a $2 billion loan to the group that has proposed to take Dell private. Microsoft is committed to the long term success of the entire PC ecosystem and invests heavily in a variety of ways to build that ecosystem for the future. We’re in an industry that is constantly evolving. As always, we will continue to look for opportunities to support partners who are committed to innovating and driving business for their devices and services built on the Microsoft platform." Captain Rick’s Vision … This deal has significant meaning! As an engineer…I have followed Microsoft since its beginnings way back in 1975 when founded by Bill Gates and Paul Allen. Since then Microsoft has grown to become the world’s giant of PC operating system software. Microsoft Windows operates the majority of the worlds computers. In recent years Microsoft has come under attack form Apple, which has become the world’s mobile leader. Microsoft understands the diminishing role of the PC. Hewlett Packard, the largest producer of PCs came close to abandoning PC production a while back, but has reckoned its course since. I believe Microsoft is looking to shore up its future by supporting Dell, the world’s second largest PC manufacturer…to keep it afloat. By making loan to Dell, in stead of an equity investment, Microsoft will not offend Hewlett Packard. Microsoft’s loan to Dell will most likely guide Dell’s future PC design so that it truly supports Microsoft’s future vision of the Windows operating systems that support not only PCs, but mobile devices as well. Windows 8 is a good start, but I suspect Microsoft has much greater things in mind with proper support from PC manufacturers. I believe their goal is to not only maintain their leadership with PCs but also gain leadership in the mobile world. We can expect a war between Microsoft and Apple in the coming years. Microsoft, with its multi billions of cash is no where near the condition of accepting second place. I see lots at stake in this deal. While this is not a ‘done deal’, it looks very promising to me. Captain Rick: Microsoft launched a ‘Hail Mary’ pass today as the first Windows Phone 8 devices went on sale. These are the first phones that are compatible with the new Windows 8 operating system. Early users call this a great product and love it. It is receiving praise for its innovative interface. It has some snazzy new features that rival those on the iPhone and Android devices. IDC forecasts that Windows Phone will overtake Apple’s iPhone by 2016, gaining 19.2% of the market. With hundreds of millions of Microsoft Windows users migrating over to Windows 8 over the next few years, the Windows Phone 8 will push the iPhone and Android devices aside and gain the fame of being the world’s most used phone device. Those who rely on Microsoft Office products will find themselves right at home. I suspect that internet calling via Microsoft’s Skype, will be part of the new game plan. As an avid user of Microsoft Windows since the beginning of time, coupled with Microsoft’s multi-millions of dollars invested in the new Window’s 8 system, I anticipate Microsoft’s ‘Hail Mary’ pass will be caught in the end zone a few years from now for a monumental touchdown that will send Apple back to the ‘fruit orchard’ it originated from. A Samsung is shown above. Nokia’s Lumina 920, which has received positive reviews, is now available for just $100 with a two-year contact via AT&T. Windows Phone 8 devices will also be available on Verizon’s network, America’s largest wireless carrier. 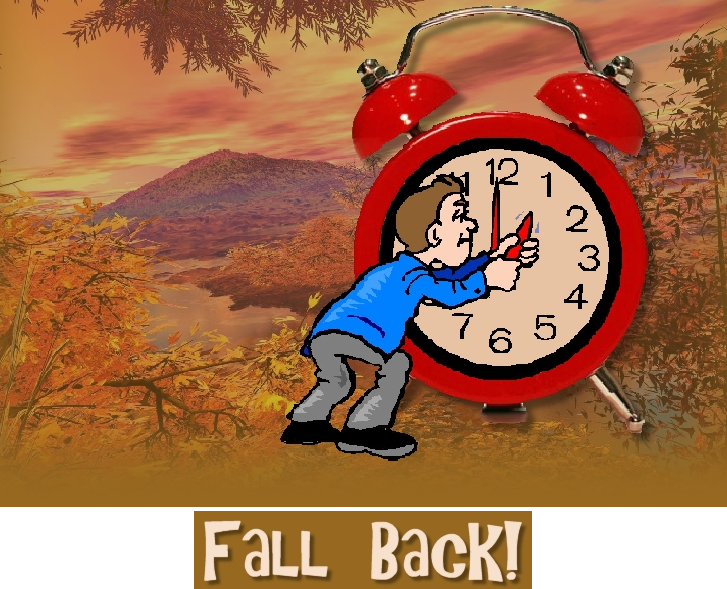 Captain Rick: I received the graphic below from my friend June of Tennessee, who reminds us that this is the night to “Fall Back” as “Day Light Savings Time” ends for many places that have not figured out which time works great all year around … like the folks in my state of Arizona have. Perhaps one day, the entire world will get it figured out and will be able to stop fiddling with their clocks … something we have never wasted our time on in Arizona. Captain Rick: Microsoft will unveil its Surface tablet running Windows RT on Friday, October 26, 2012. RT is a ‘lite’ version of Windows 8 that will allow it to run Microsoft mobile aps. It will compete with the Apple iPad. Its more powerful cousin, the Intel-based Windows 8 Surface Pro tablet will be released in January, 2013. It will sport the full Windows 8 operating system, allowing you to run all Microsoft Office and other PC software. It will be the world’s first tablet with a full computer operating system that will perform just like a PC or laptop. It has potential to leave the iPad and other tablets in the dust. 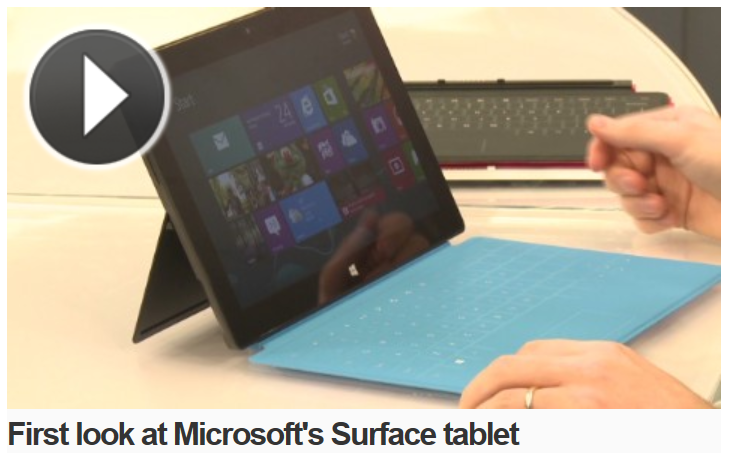 Take a first look at the new Microsoft Surface tablet via the video included in the link below. Its super thin cover doubles as a keypad. Its ultra thin kick stand turns it into laptop-like device. Its magnesium alloy body makes it one of the toughest and thinnest of all tablets. This appears to be marvelous device. Microsoft has a real winner on its hands.